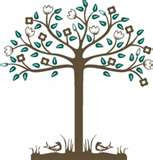 Getting the Most Out Of Ancestry.com workshop, is presented by Huntington Public Library and the Genealogy Workshop of the Huntington Historical Society on Wednesday, November 11th at 7:00 pm in the main auditorium of the library. Loretti Dennis Szucs, Vice President of Community Relations and Executive Editor for Ancestry magazine discusses the "Ancestry World Archives Project." Ms. Szucs brings a wealth of experience as a former member of the advisory board of the Statue of Liberty-Ellis Island Foundation and as a current board member of the Federation of Genealogical Societies. Open to all. Registration is recommended. Call 631-427-5165 or register online at http://alpha2.suffolk.lib.ny.us/programs~S30.